Mark is a seasoned globally minded Employee Experience Leader who has chosen to work for big-hearted companies and focus on how he and his team can unleash the talents and passions of a company’s employees. Early in his career, he worked with the likes of Best Buy, Levi Strauss & Company, and Gap Inc. partnering with business leaders to support their human resource (HR) needs including innovative ways to create a learning organization and ensure integration between work and life. Mark also spent two years living and working in Paris, France for Thomson/Technicolor. 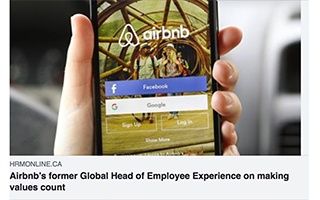 Most recently, Mark was the pioneer of designing the Employee Experience at Airbnb, which has since created significant changes in the way organizations globally are looking at expanding the HR function to focus on the entire employee journey. This group included traditional HR functions, in addition to broader teams focused on social impact, culture and workplace. 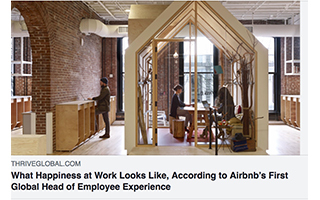 Mark helped to further Airbnb’s mission “to create a world where you can belong anywhere,” by establishing the employee experience mission that employees feel they belong at Airbnb. Glassdoor recognized Mark and his team’s work by naming them the #1 Place to Work in 2016. Mark has now joined the Flock at Allbirds to lead their global expansion, and scale their people and culture with a focus on the employee’s experience while also taking his learnings to consult with companies, from startups to large global brands, to advise on how to evolve from HR to Employee Experience, how to create an integrated internal and external brand, how to bring the mission and values to life, and how to create a greater connection between the company and their employees, between employees, with the company’s customers, as well as the communities in which they operate. 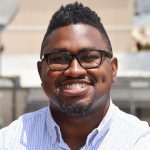 In addition, Mark is also working with Backstage Capital, a unique Venture Capital firm which is focused on securing funding and resources for underestimated founders- Women, LGBT and/or People of Color. 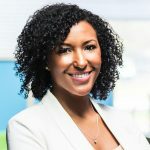 He is helping them scale their organization, seek out like-minded investors, as well as supporting their Founders to help them strategize and grow their businesses. In addition, Mark has been actively involved in giving back, including helping organizations enable their employees to help those less fortunate through volunteering programs and community involvement. He served on the Gap Foundation Board of Directors and is currently on the Board of First Graduate, a non-profit which helps those who are first in their family to attend and graduate college. 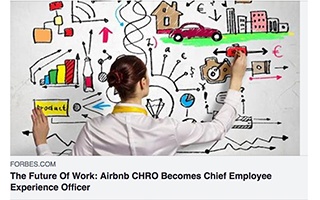 Mark will give context on how, at Airbnb, he pioneered the shift from a traditional HR mindset and organization to what is now emerging at the best practice of looking at the end to end employee journey through the creation of Employee Experience. This is a mindset, ways of working across the organization, as well as an important structural shift within the company. Mark will share how Airbnb took it’s unique and authentic mission and values and translated them into a globally recognized culture. Mark will also explain the importance of integrating the external promise with the internal employee brand proposition. 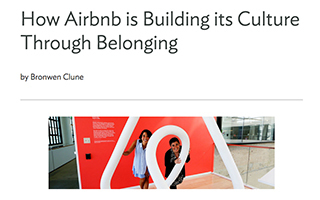 Mark and team designed a strategy of “Belong Here (at Airbnb)” based on their external mission of “Belong Anywhere” (creating a world where anyone can belong anywhere). The outcome was more engaged, and productive employees, with strong retention and an increased focus on meeting the needs of the customer/business. Mark will share how his work at Airbnb broke down the walls between employee, hosts, and guests (customers) to create community. This was about creating “belonging” part of which focused on Diversity and Belonging (inclusion) within the organization. 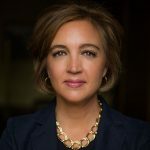 Mark will address the importance of connecting the company and the employees, the employees with each other, the employees to the customers, as well as the employees in the communities in which they operate through volunteerism. Companies should be deliberate and intentional in how they think about scaling. 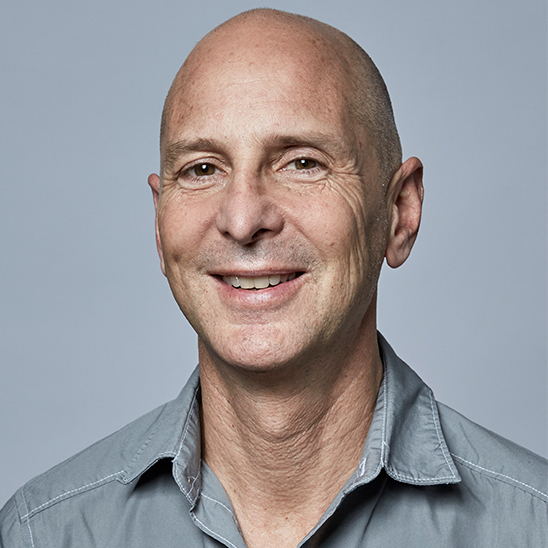 Mark will share how he designed an Employee Experience strategy to ensure that the Company, the Employees, and the Culture grew by design to ensure that what was special and unique to Airbnb would evolve and scale as the company grew exponentially. Mark can work with your team on education, strategy, and implementation of your company’s Employee Experience (EX) by providing inspiration and guidance through a multitude of formats. Mark Levy and Luanne Calvert have combined presentations bringing together the worlds of EX and CX. The approach to designing the customer journey and supporting the customer experience. Taking the customer promise and bringing it inside to your employees. Shifting the organization structure and leadership mindset to servicing your employees, like you do your customers – listening, learning, and collaborating to co-create the right employee experience. Examples to bring CX and EX theory to life, what we can learn from each other, and why it matters. 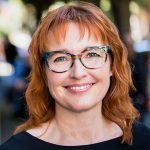 How to implement EX like a marketing-driven function – steps to following and key lessons learned. Examples of how functions like IT can change their approach to better support employees. Examples of how to include business leaders and others to help design and test the right programs, processes, and systems to support the real needs of your employees. 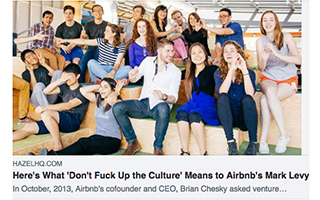 How to Transform Brands and Company Cultures. Integrating Your Internal and External Brands. What are the benefits to the organization: employees, brand, bottom line. What is the roadmap and what would we advise others based on what we’ve learned? Examples of how Luanne and Mark broke down the walls between employees and customers, setting our employees up to deliver on the brand promise. Where do we go from here? What is the vision for the future? Creating a cohesive and unified brand – inside and out. Finding and supporting brand ambassadors in your customer and employees. Well deserved. So proud of Arlan Hamilton for all she and the Backstage capital crew are doing to level the playing field for underestimated founders. It’s a great story- take a look- and join us on this journey. Everyone should listen to this from Serena Williams. https://t.co/1KaECDVpCP exciting news on the backstage capital accelerator coming to LA, Philly, London/UK and a fourth city you can help us choose! Proud to be supporting th backstage capital headliners. First 100 are the pioneers. More to come!